PLD4800 concrete batching machine is to feed sandstone with loading machine or conveyor belt, can be matched with the cement silo and other equipments to form a concrete batching plant. PLD batching machine can effectively ensure proportion accuracy of cement sand, stone, and other aggregates. With electronic weighing system, it improves the accuracy of weighing. 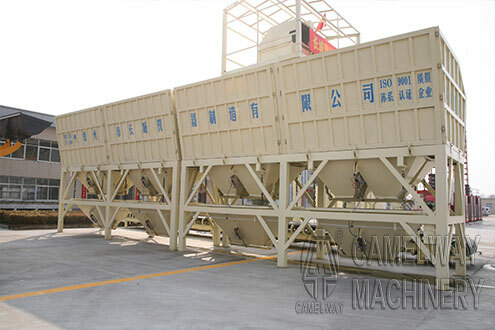 Zhengzhou CamelWay Machinery is a top manufacturer of concrete batching plant and PLD concrete batching machine, in addition to PLD 4800 concrete batching machine, we offer different sizes of PLD concrete batching machines that meets the specific needs of your construction projects.